Storing all your boat documentation in one place can be overwhelming, especially if you’re trying to store them in their physical form and keep them all in one place without losing anything important. When you own a boat, there’s an abundance of documents to keep track of: boat registration, insurance certificates, radio licence, VAT paid certificate, clearance or exit document, boat stamp - and many others. 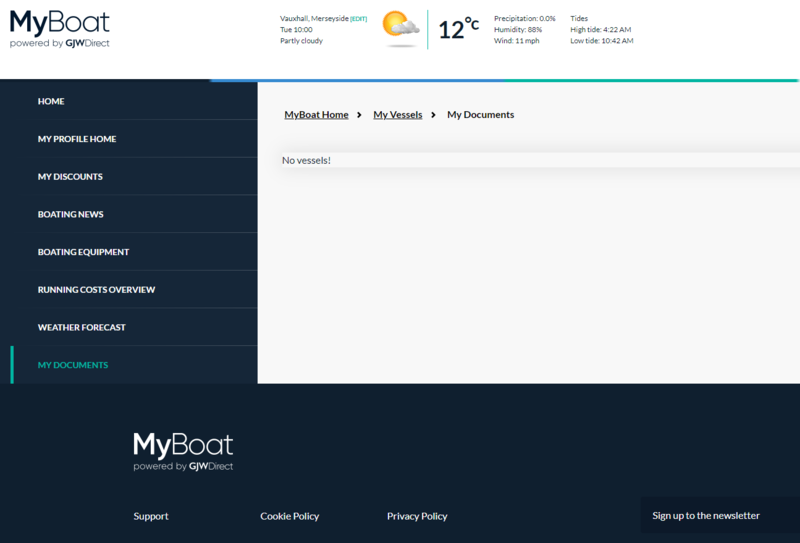 MyBoat gives you the option to store all of your important boat documents in one safe place online. Once you’ve updated your details and uploaded your important documents, you’ll be able to easily view and edit your documentation. And more importantly, you’ll never misplace anything again. You'll also be able to access documentation while you're away boating or sailing!